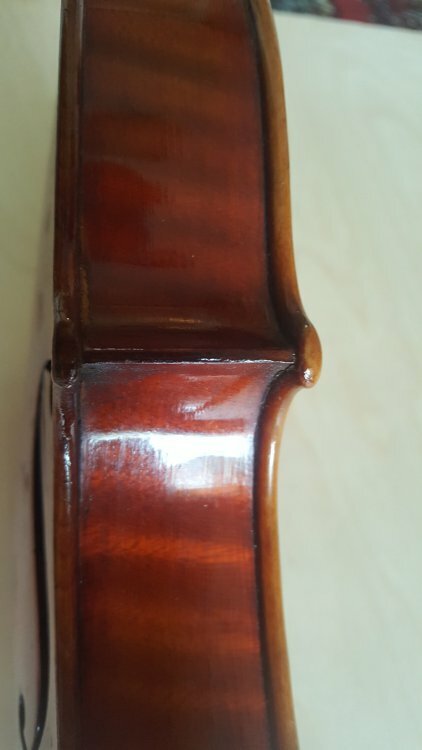 I am interested in finding out more about this violin which has a label "E. Albert sole agent of John Alberts American Star Violin." There is an eligible signature written across the label and dated 1907. I think this is probably a violin exported by them. 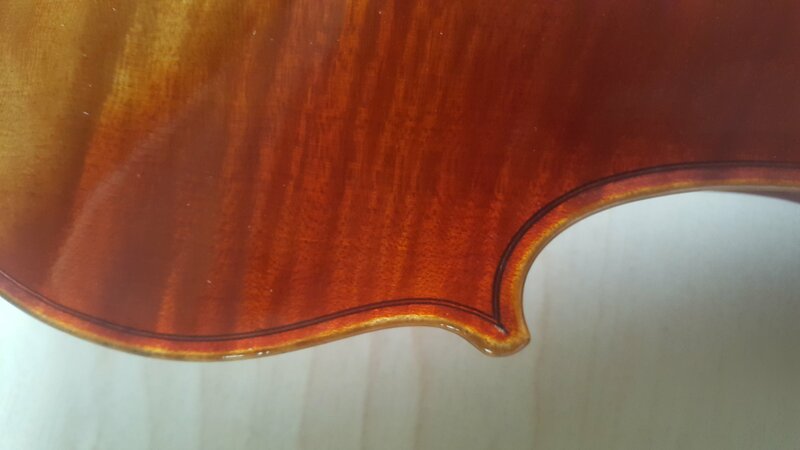 The violin appears to have all 4 corner blocks with linings butted against them. The scroll is fluted almost to the end. 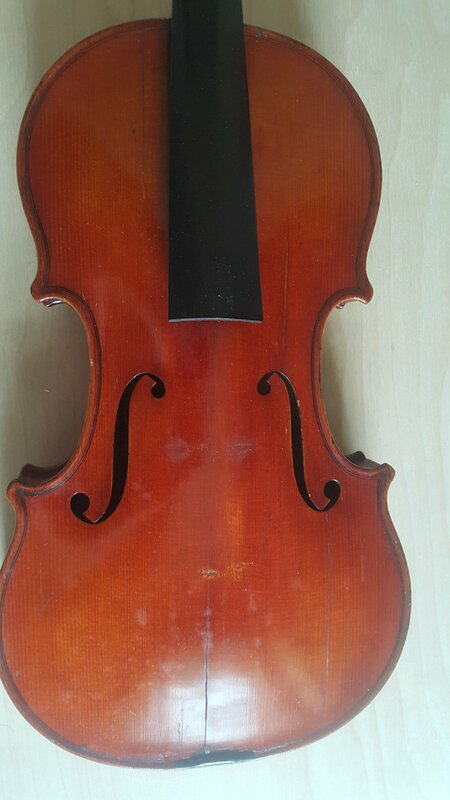 I also am wondering whether the violin is worth having the cracks repaired. Two of the cracks have previous repairs which are solid but cosmetically unattractive. Two need repaired. Any information would be appreciated. 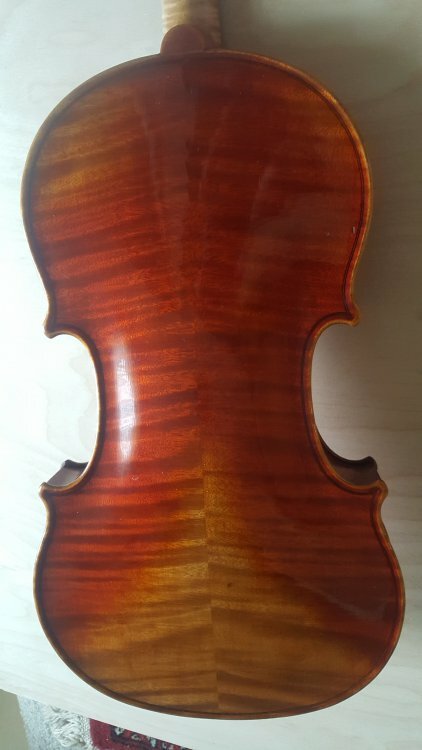 I can't help you with more information about the violin but, in my opinion, it is worth repairing. The Albert family moved from MK to Philadelphia PA shortly after the American civil war. 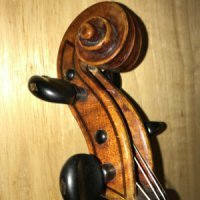 There is quite a lot of info on them in the newest American Violin book as well as Wenberg. 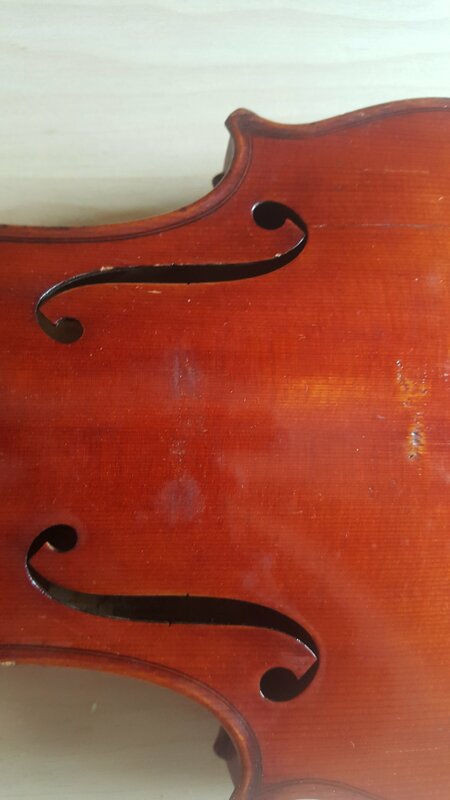 Some kind of discord in the family caused one of the second generation to go off on his own and found the company which made your violin. I am familiar with the father's work which varies from acceptable to very good. My guess is that this is a decent fiddle and certainly worth repairing. Thanks for the information about the Albert family. I do have Wenberg's book. 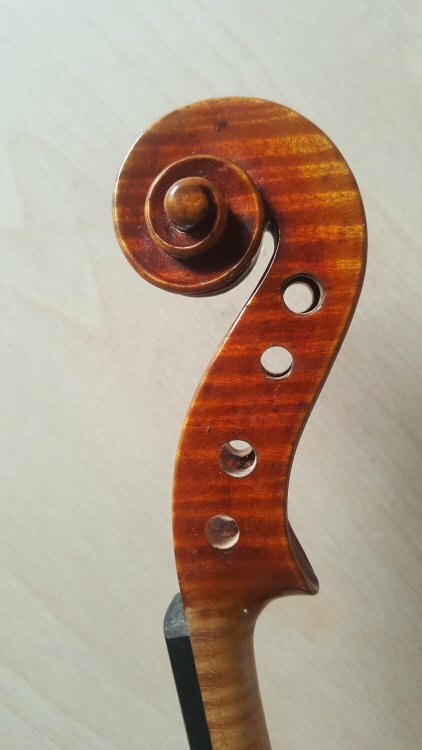 I have tried to compare this violin to examples of the different family members but I can't see much in common. 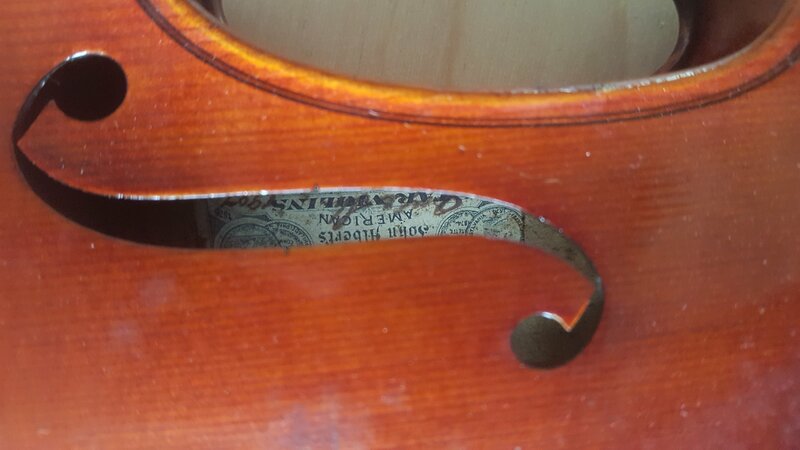 I guess the American Star Violin referenced on the label was not made by an Albert family member but by unknown violin makers that worked for the Albert who founded the shop. 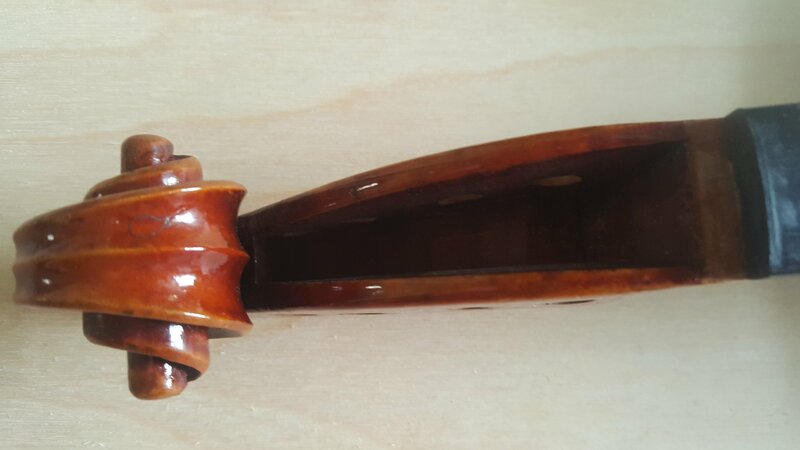 I have not been able to find any examples with this label to compare the style of making. That's why I thought it could be a violin they imported. The crack in the top center. Is that actually a crack or a separation of the top pieces along the seam? PS. Is this an American made instrument or an import? The crack is off to the side of the center seam. The Company was in Philadelphia but they had strong ties to MK and I have seen instruments labeled by C. Albert that sure looked like they could have been from Mark Neukirchen. It looks like a locator-pin crack caused by the spruce top shrinking around a tightly fitting locator-pin. These cracks often do not track along the center seam. The American Star Violin Manufactory was a workshop that made good mass-produced violins in Philadelphia, Pennsylvania. 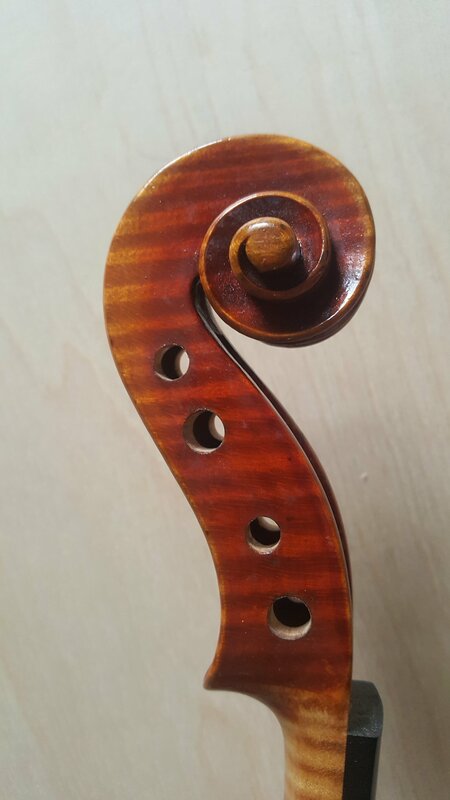 This violin is likely American-made following German models.